Student Blogger Hope Parker, MAIS ’20, reflects on some useful skills for a successful semester at the Hopkins-Nanjing Center. 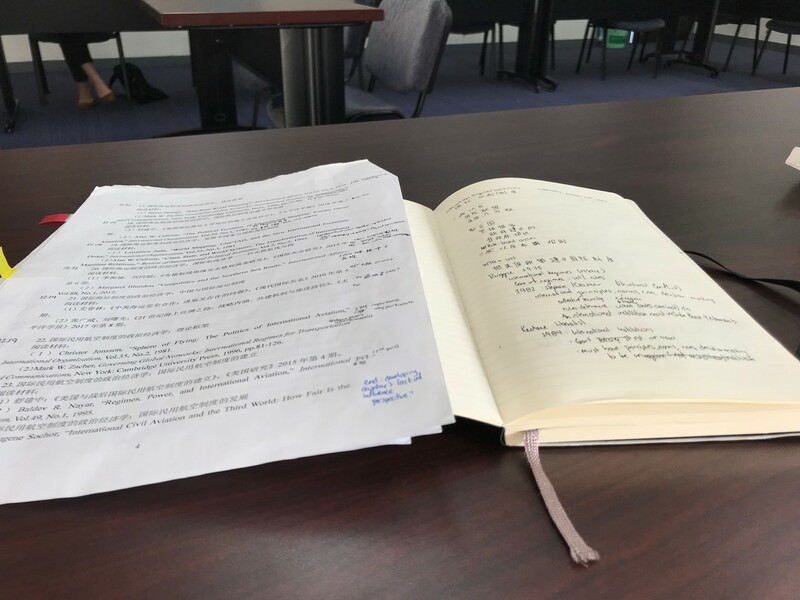 As the fall semester at the Hopkins-Nanjing Center wraps up, Certificate and first-year MAIS students have developed some study tips, based on their experiences this semester. 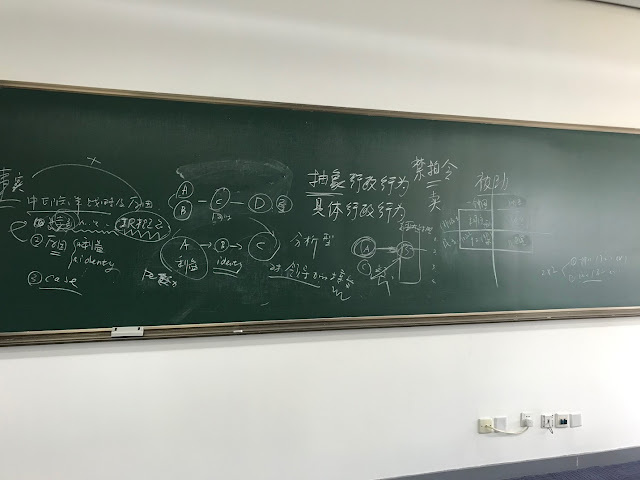 I have compiled my own and other students’ recommendations to help students who are preparing to come to the Hopkins-Nanjing Center in future years. Before coming to the Hopkins-Nanjing Center, I heard it was helpful to create vocabulary lists before class. I have found it most useful to prepare a list of what seem to be the most important words from a particular day’s assigned readings. Especially at the beginning of the semester, it is useful to review the words before class, or to refer to them during class while discussing the topics. As the semester goes on, it is easier to remember new words, and there are fewer new words to study. Even though I find myself referring to my list less and less throughout the semester, it is a nice practice to have when preparing for class. At the Hopkins-Nanjing Center, there is a lot of reading. Especially at the beginning, it is easy to get caught in a trap by reading every word, but there is not enough time to look up every word you do not know. Although we may know how to skim in our native languages, it is much harder to get the main idea of a paragraph in a foreign language. It is helpful to talk to other students to learn how to pull key ideas and words out of a reading so that you can continue to stay up-to-date with readings throughout the semester. The Hopkins-Nanjing Center has a steep learning curve, but the sooner you confront it, the sooner you adapt. Even though the beginning of the semester may have fewer assignments, spend time carefully preparing for them. The first month sets the foundation for the rest of the semester. If you engage with readings, in class discussions, and with professors as much as possible in September, it will be much easier to write your final papers during January. The Hopkins-Nanjing Center provides students with a lot of resources to improve our language skills. First, each week, professors are available during office hours to help students with readings that they may not understand. Second, the Hopkins-Nanjing Center also offers academic writing modules outside of class time to assist students with writing formal essays in their target language. 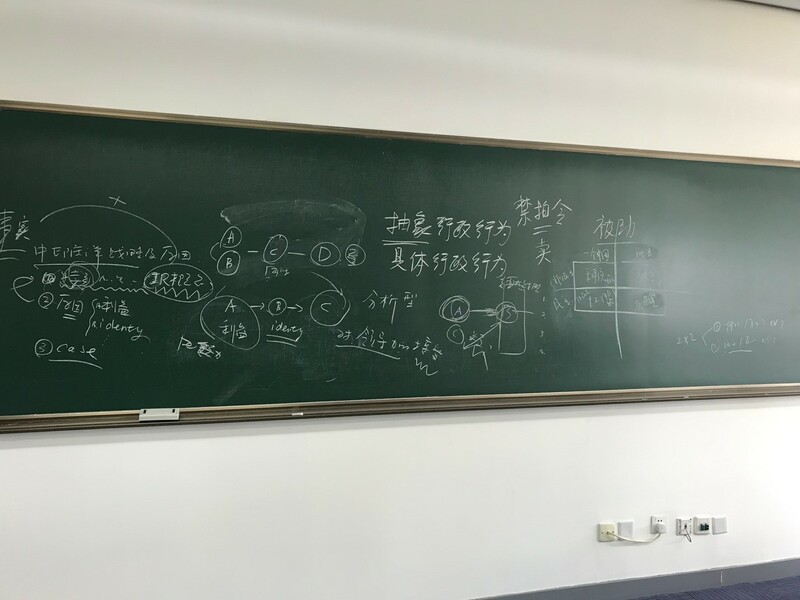 Third, there is a writing center where students review and edit other students’ essays, ensuring that our grammar is correct and that we are using appropriate, formal Chinese. Finally, you can always ask other students for help. Fellow classmates are always happy to help if you do not understand a lecture or reading. Talking to other students can help in both practicing your target language and expanding on analytical class discussions. With these skills, you’ll be able to start the school year a little more prepared, which will help you become even more involved in class at the Hopkins-Nanjing Center.